The Portland Art Museum is pleased to announce a $100,000 grant from The Andy Warhol Foundation for the Visual Arts for Hank Willis Thomas: All Things Being Equal…. The exhibition, slated for Fall 2019 highlights the work of an artist devoted to reframing perspectives on difficult issues central to American history and the representation of race and the politics of visual culture. 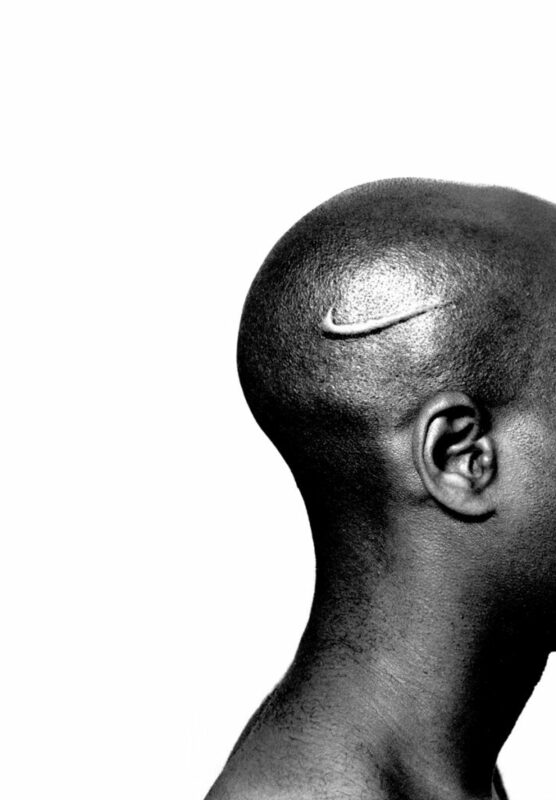 Hank Willis Thomas: All Things Being Equal… will be the photo-conceptual artist’s first comprehensive survey, and explores how Thomas points to the roles that images, brands, and popular icons play in perpetuating stereotypes as well as upending dominant culture narratives. “As the Museum begins its 125th anniversary year, it is evident that we are operating within a continually shifting cultural, economic, and political landscape. The rapidity and magnitude of change challenges all of us to think more deeply and critically, and we as a Museum are honored to present this survey of Hank Willis Thomas—a thoughtful and creatively insightful artist that I am confident will expand our vision at this complex moment,” commented Museum Director Brian Ferriso. Co-curators Julia Dolan, The Minor White Curator of Photography, and Sara Krajewski, The Robert and Mercedes Eichholz Curator of Modern and Contemporary Art will focus on how Thomas reframes popular, commercial, and media images and creates participatory opportunities to foster knowledge and embrace new viewpoints. Collaboration is central to Thomas’ artistic practice; works like In Search of the Truth (Truth Booth), which the Museum hosted last summer, and a new project by Thomas’s artist-run political action committee For Freedoms will take the exhibition out of the Museum and into direct contact with Portlanders. The Museum will also co-publish a catalogue with the Aperture Foundation including multiple contextualizing essays and an interview with the artist. Community partnerships and programs will include the continuation of a multi-year engagement with the Museum of Impact, the world’s first mobile social justice museum; collaboration with King School Museum of Contemporary Art; establishment of an interdisciplinary library that invites artists, writers, musicians, educators, and activists to contribute all types of media; a free lecture by Thomas; educator workshops; curatorial conversations; Miller Family Free Day, and Portland Public School collaborations. Thomas has participated in more than three hundred solo and multi-artist exhibitions, and his work has been collected worldwide, yet his career of nearly twenty-five years has yet to be considered in its totality. The sociopolitical climate today demonstrates that the need for sustaining and increasing vigilance of racism is great. Thomas’s ongoing artistic consideration of the impact of the dominant white culture on individuals and communities of color is more timely than ever. Moreover, the impact of Thomas’ work extends beyond the important subject matter of race. The exhibition and publication will be the first to dive deeply into his sophisticated understanding of image networks, circulation, and proliferation, positioning Thomas as a significant figure linking the past (Pop art, the Pictures Generation, and conceptualism) to the current ways art operates as an active, heterogeneous platform to engage and critique the Internet age. The primary focus of the Foundation’s grant making activity has been to support the creation, presentation and documentation of contemporary visual art, particularly work that is experimental, under-recognized, or challenging in nature. The program has been both pro-active in its approach to the field of cultural philanthropy and responsive to the changing needs of artists. A strong commitment to freedom of artistic expression led the Foundation to play an active advocacy role for artists during the culture wars of the 1990s and continues to inform its support of organizations that fight censorship, protect artists’ rights and defend their access to evolving technologies in the digital age.